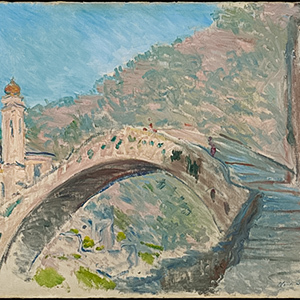 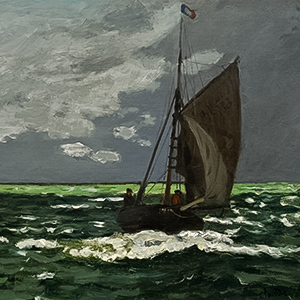 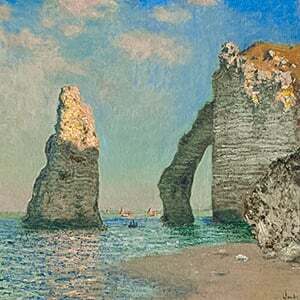 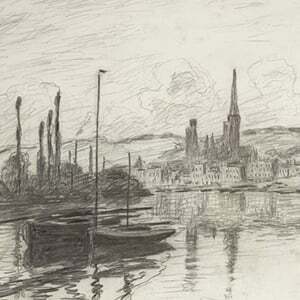 The Geese was painted a few months after the first Impressionist exhibition and the painting's bright tone and thickly applied touches of color are characteristic of Monet’s experimental technique during this period. 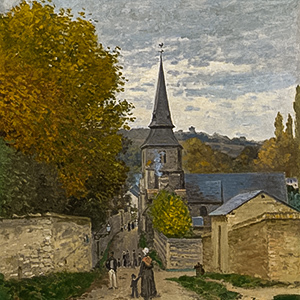 More unusual is the painting’s vertical format and dense composition. 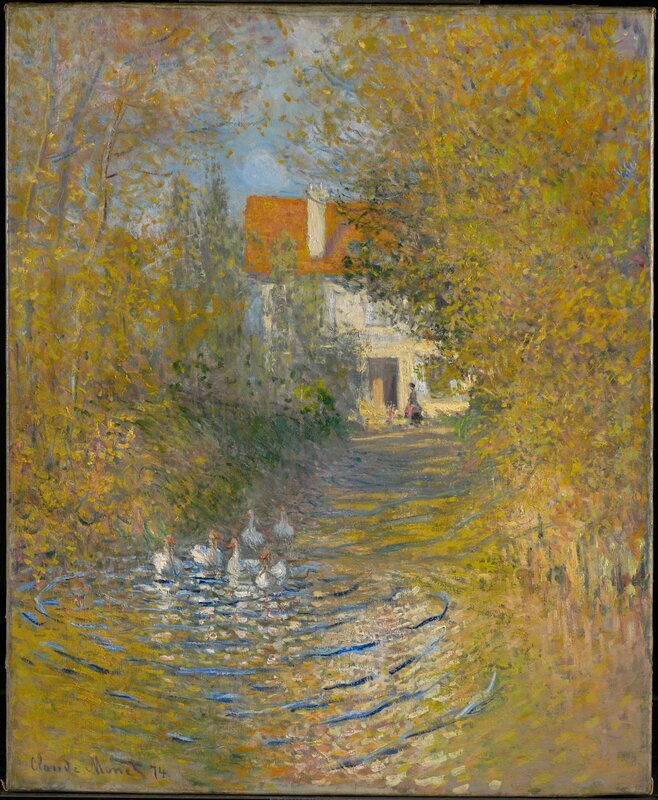 Tall trees shade a path that leads our eye from the rippling water in the foreground to the diminutive figures of a woman and child standing in front of a sunlit, whitewashed building.